On Saturday June 17th, five of us met at Jimmy Changas in Pearland for an early father's day dinner for my step dad. This was my first time dining here. 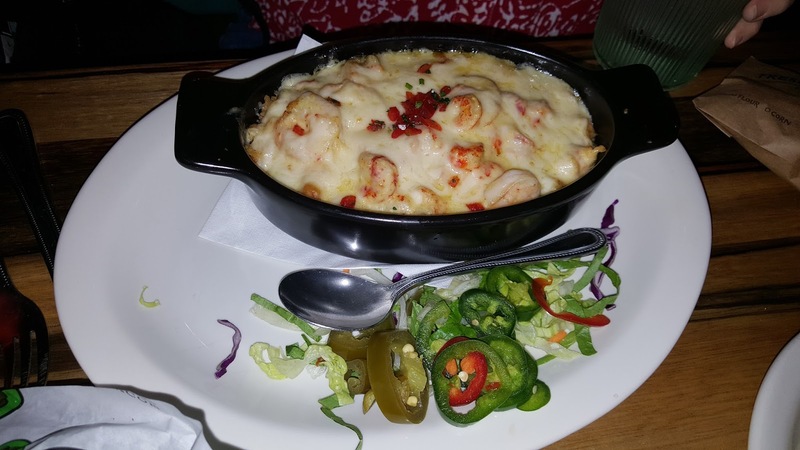 I was really impressed with everything from the food, service & decor. 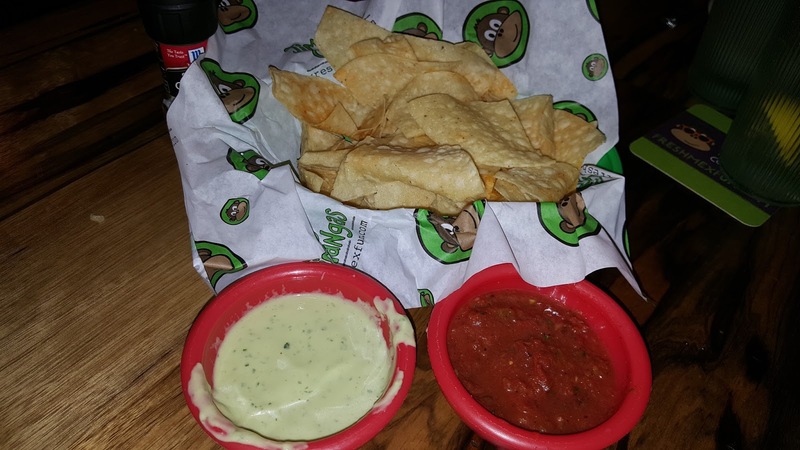 One of my favorite things about Mexican restaurants is the free appetizer, chips & salsa. These chips were great! I really enjoyed the fact that were seasoned. 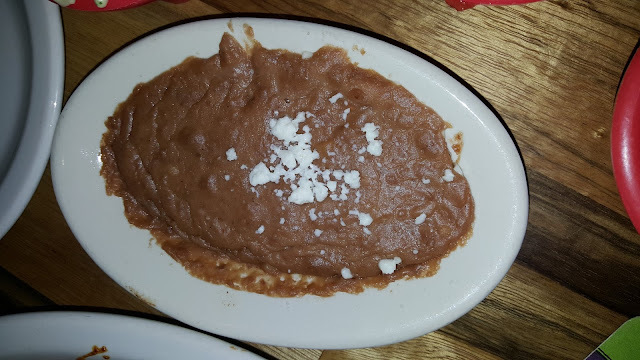 The salsa was good, but would have been better if it was served warm. I am a self appointed chili aficionado. 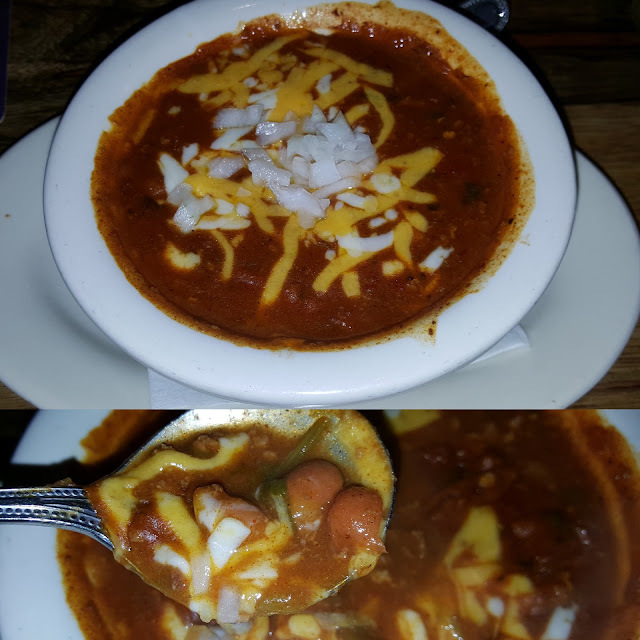 When I saw the SOUP-of-the-DAY was scratch made hearty Tex-Mex chili, I had to order this just to see if it was made correctly. This was tasty, but folks need to understand....if you know beans about chili, chili ain't got beans! Our waitress, even agreed with me. However, I will give them bonus points for the giant sized "cup" though. Since this was my first visit, I wanted to sample several items. 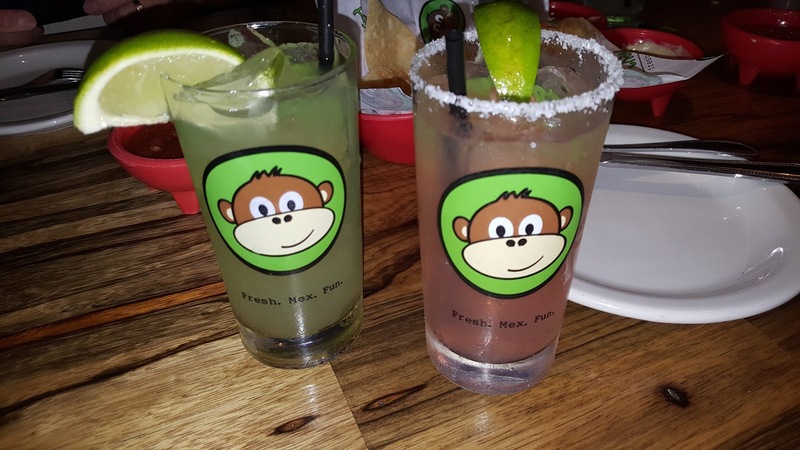 The CHANGO PLATTER was the perfect choice. 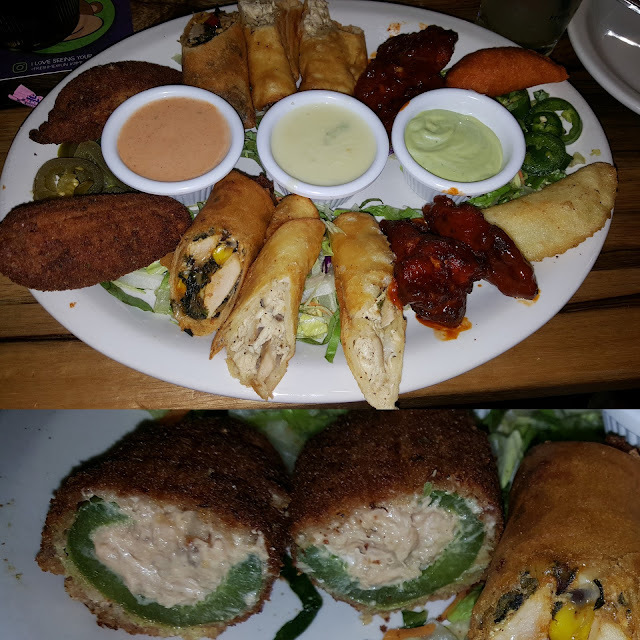 It was a huge plate with 2 chicken taquitos, 4 donkey wings, 1 cheese empanada, 1 chorizo empanada, 2 Tex-Mex eggrolls and 2 gorilla peppers, served with queso, jalapeños and avocado-ranch. The gorilla peppers were so spicy, that I actually started to cry a little. I'm glad I had a house margarita to calm the burn. Everything else on the plate was delicious. 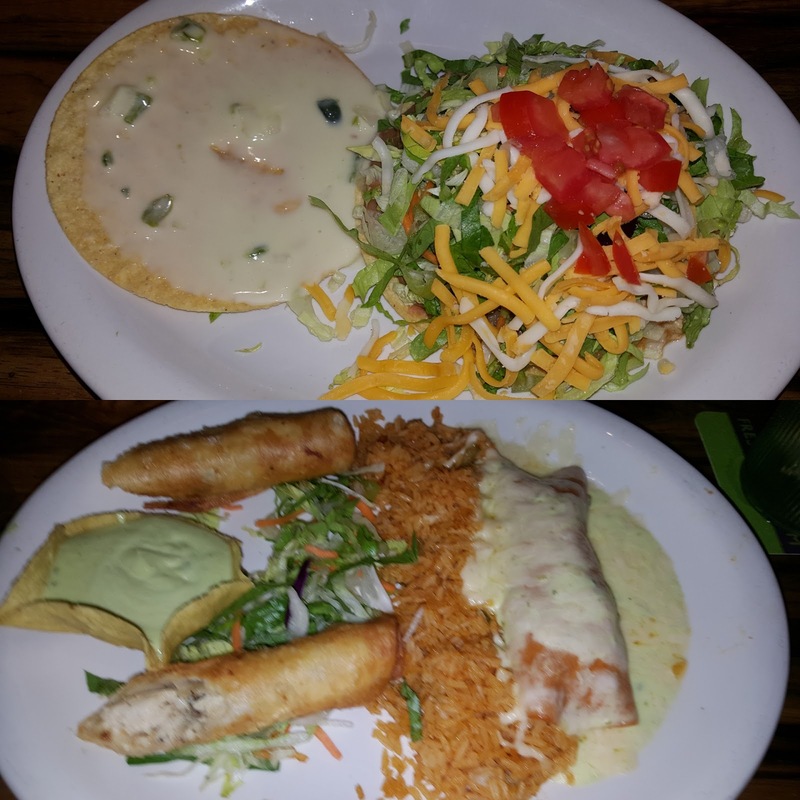 My wife, Shelly selected the JUANITA (rotisserie chicken enchilada, two taquitos, rotisserie chicken tostada -- avocado-ranch) She was in awe of how much food actually came with this dinner. It was a struggle to eat most of it. That being said, it was delicious! 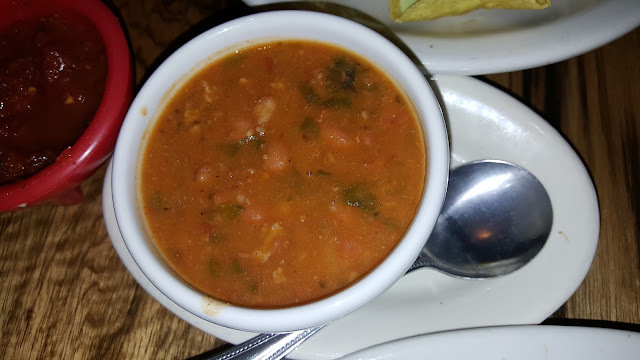 My MawMaw, Bonnie, is always worried about eating spicy foods and choose the POLLO MARISCO (gulf shrimp and crawfish tails sautéed in white wine sauce, atop a grilled chicken breast -- with pico de gallo, choice of beans and Spanish rice) The whole car ride home, she couldn't top raving about how tasty it was. 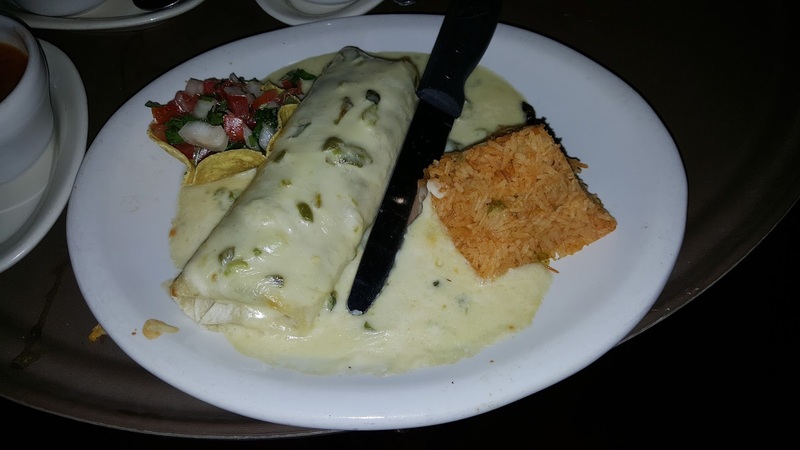 She was thrilled to finally find something she loved at a Mexican restaurant. 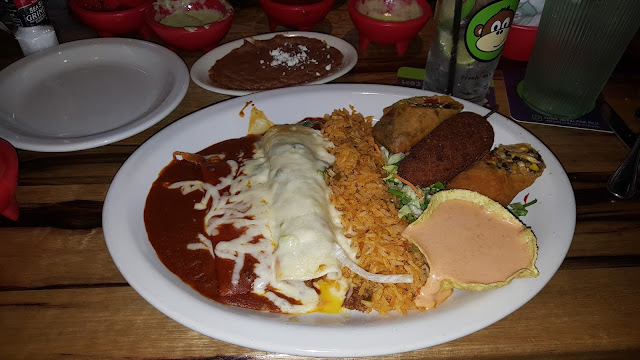 My mother, Glenda chose the SALTILLO (mini burrito con queso, cheese enchilada, tex-mex eggrolls and a single gorilla pepper -- chipotle-bbq) Mom also thought the gorilla pepper was extremely spicy. Everything on her plate was cooked to perfection. My step father, Bo had the BURRITO CON QUESO (stuffed with beef picadillo, rolled and smothered in chile con queso -- con refried beans and Spanish rice) I'm guessing he loved this dish. He devoured it so quickly, I wasn't able to get a photo of the inside of the burrito. Overall rating would be 8/10. Next time that we are in the area, this will for sure be our first choice.